No hurricane has hit Florida since Wilma in 2005 despite plenty of activity. That's the message from four people at the center of the financial preparedness of the state and the insurance industry serving Florida homeowners. 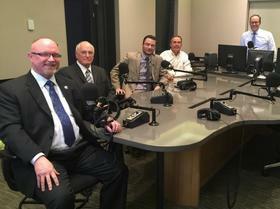 In an exclusive interview, each of them expressed confidence that the state, the state-backed insurance provider Citizens Property Insurance, and private insurers have the financial wherewithal to withstand a major storm like Hurricane Andrew or a series of storms like the 2004-2005 seasons hitting the state. Atwater: (Florida has) an extraodinary, robust insurance market. If we have an Andrew event, we're now in good shape. If we have multiple events, (like 2004-2005), will the claim be paid? Almost by any type scenario we should be able to handle it. We're in good shape. McCarty: We're going (into the hurricane season) probably the best position we've in over a decade. Gilway: We've never been, ever in our history, quite as well prepared financially. We currently have about 490,000 policyholders. We used to have, just four years ago, over a half trillion dollars in insured exposure. Today that's down to about $140 billion of exposure. Four years ago if a 1 in 100 year storm would have occurred we would have required a $11.6 billion assessment. That assessment as of 2015 is gone. Today we could weather a 1 in 100 year initial storm and a 1 in 16 year second storm and we still would not have to assess policyholders. Last year the state required private insurers to pretend their policyholders were hit by different storms. The stress test was designed to see how the insurers' financial exposure would be impacted and to decide if an insurer needed more financial protection. All 67 insurers that took part passed the tests. 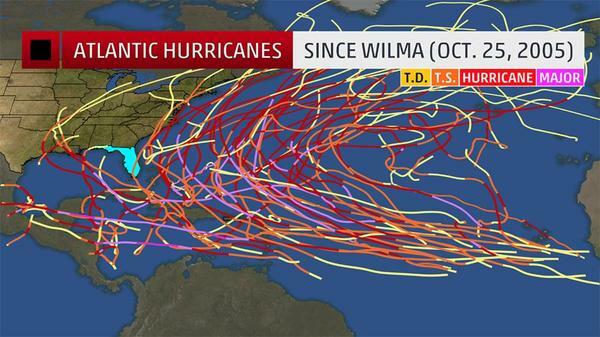 However, for 40 of those companies, these test storms are the only hurricanes they've experienced. Forty of the 67 insurers began writing coverage in 2004 or after. The 2016 stress test results will be available this autumn. Altmaier: There are a lot of encouraging factors at play in our marketplace that give us a lot of confidence that our private companies are going to be able to respond in times of stress. Several years ago when the legislature raised the surplus requirement for property (insurers) to $15 million, that was a huge step. Our insurance companies are really driving (talks) when it comes to negotiating with the reinsurance companies whereas back in 2008-2009, the roles were reversed. One of the components that we collect from our insurance companies is there disaster recovery plans. What do they have in place in terms of bringing their systems back online if they happen to be knocked out? What do they have in place in terms of claims adjusters? We've seen some really impressive technology from some of our companies of how they're going to deploy their adjusters (and) look at areas that have been impacted by disasters. The truth is we'll see how that pans out when we have an event. The indications are very encouraging at this point. Florida has more flood insurance policies than any other state, but fewer than it used to have just three years ago. Since 1968, the federal government has had a monopoly in flood insurance after private insurers stopped offering it. That has started to change, slowly, in Florida, where a handful of companies now offer flood protection. Still, the federal insurance program remains the default option for homeowners wanting or needing flood insurance. And that federal program is broke. It's $23 billion in debt. Legislation reforming the flood insurance program passed in 2012 and costs to homeowners rose. Another bill in 2014 rolled back reform provisions that had led to the sharply higher flood insurance premiums. Atwater: For Florida, the economic driver is the acquisition of real estate and the transferring of real estate. It is significant to our general revenue to the state. It is significant to all economic activities in our communities. This would have hugely detrimental impacts on our economy if we have an event and those (flood) losses can't be sustained by those families (without flood insurance). McCarty: Before we start ratcheting up the prices, we need to make sure we have the capacity in the marketplace. You can't have the capacity in the marketplace if you have a monopoly on the data from which those companies will build their pricing. In 2008, the trade group representing the reinsurance industry in America adopted a policy acknowledging the financial risk of climate change. Members of the Reinsurance Association of America are companies most people have never heard of, but they are the companies that insurance companies buy their insurance from. McCarty: There is no question that there is a potentially dramatic impact on a low-lying area like Florida with rising sea levels and the impact from an increased frequency of storms. Atwater: We are seeing a return of a robust insurance marketplace and a return of healthy growth in our state's financial condition. That is beginning to mask longer term issues that we're going to have to push and try to begin to force the kind of action that often in the legislative process and political process does not ripen until a crisis. We have to broaden the long term conversation for what's going to face Florida across a broad range of issues -- this being one of those. Tropical Storm Colin left Florida early Tuesday but it continued to cause problems on roads around the Tampa Bay area throughout the day. Lingering rain from the storm caused flooding that closed roads Tuesday morning and winds kept the Sunshine Skyway closed until around noon. 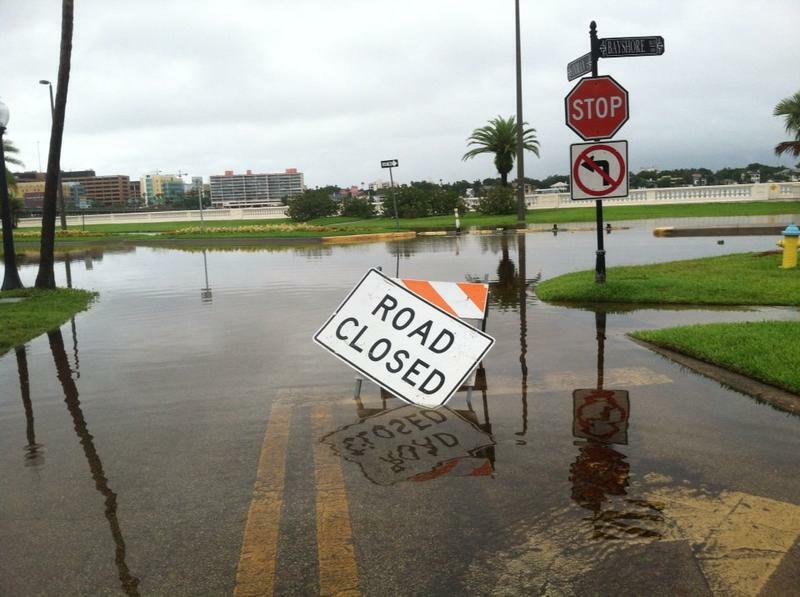 Tropical Storm Colin dumped several inches of rain across the Tampa Bay area. 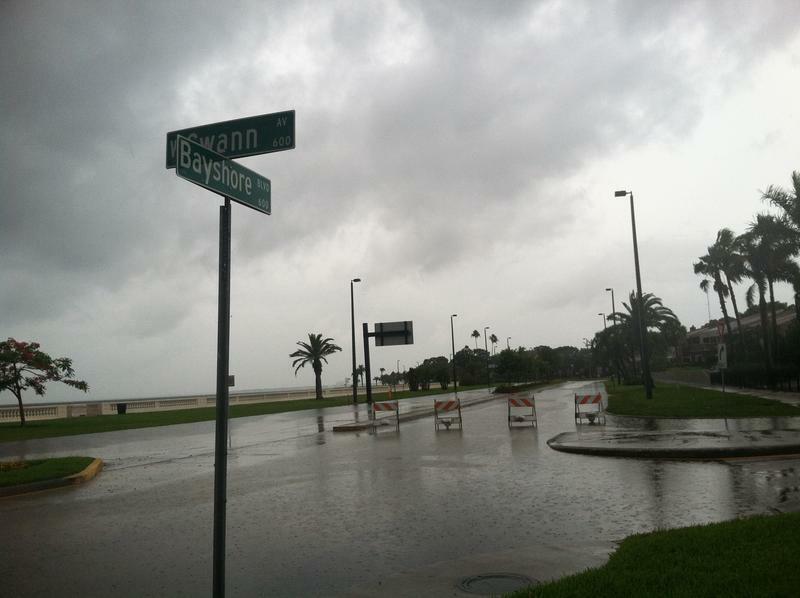 A tropical storm warning and flood watch was in effect through Monday. Rain totals were expected to range from 4 to 8 inches near the Tampa-St. Petersburg metro area, tapering to 2 inches further inland and to the east.